Writers were asked to ‘keep in the mind’s eye’ an image from the painting and – there and then – allow a piece of writing to flow from that. Great pieces ensued and were shared aloud around the table. Homework for presentation on the 11th May involves something similar. 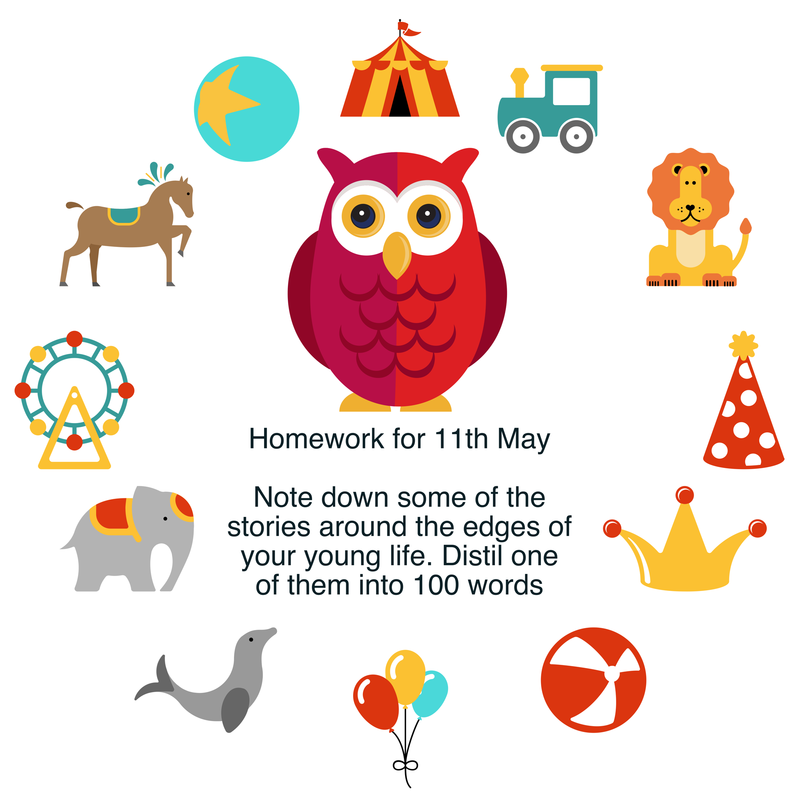 Jot down some stories ‘around the edges’ of your young life, and distil one or some of these into 100 words.